Here is my curated list of wonderful horse-themed gifts for this Christmas (or any time of year for the horse lover!). Some of these come beautifully gift-wrapped and all support artisans from countries around the world. 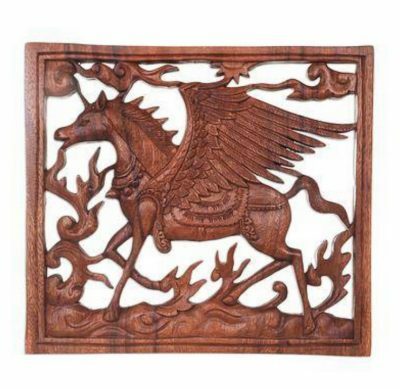 Artisan Eka of Bali presents this wall panel design, hand-crafted from suar wood in a medium-brown finish. The rectangular panel prominently displays a detailed relief of Pegasus, the winged horse from Greek mythology, walking proudly on a cloud. This piece of art is ready to be hung on a wall in your home, with iron hooks on the back. I can also see this piece being inset into a door or cabinet. There’s a video on the site if you want to click-through and see how it’s made. 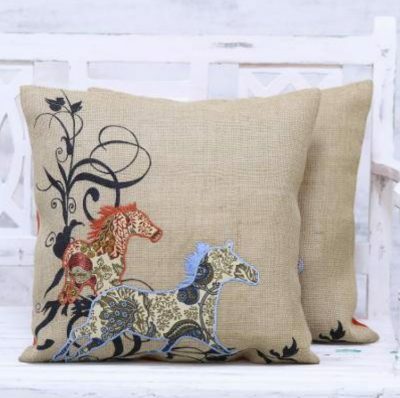 Two horses gallop with abandon, manes flowing freely in the wind, in these two gorgeous cushion covers by Indian designer Seema. Using an impressive combination of print, patchwork, and embroidery, Seema blends a beautiful floral pattern with two printed cotton patchwork horse motifs. The delightful equines are finished with detailed embroidery in sky blue and salamander orange colors. The perfect gift for a wine-lover, or your own dining table! A graceful arc of black suar wood is designed to hold a bottle of wine. 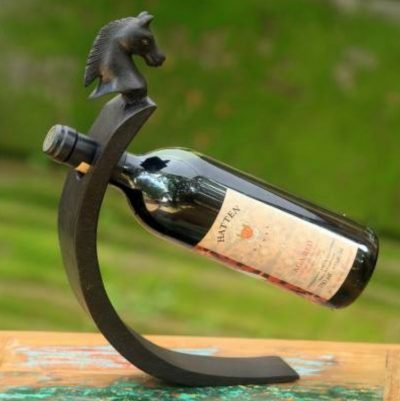 Handcrafted by Nengah Sudarsana, this sleek wine bottle holder is crowned by a horse. The wood receives its color from India ink. Also available in natural and white wood colors. 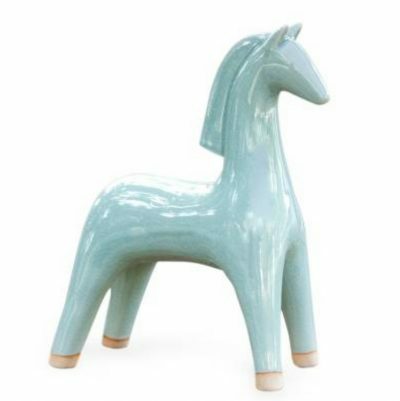 Thai artist, Duangkamol, captures the poised elegance of a horse in a beautiful ceramic sculpture. Crafted by hand, it features the unique green enamel that distinguishes Celadon artistry. 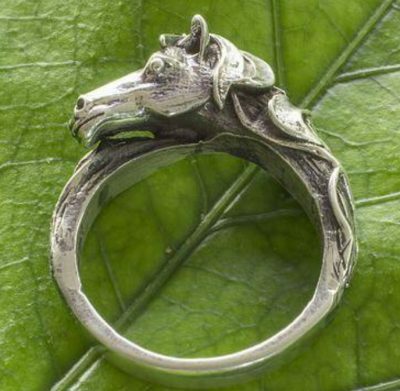 Beautifully detailed, the proud head of a horse crowns a ring designed by Roy Nilson. Featuring a rustic appearance, the sterling silver ring (.925 Sterling silver) is crafted in Taxco, Mexico. Note: If you click the link (the title of each gift) you can go to the listing on the Novica website and it has more information and more views of each gift from different angles. The majestic head of a stallion is mounted proudly, showcasing unique carvings and coloring that resemble the ornamental headdress often worn by African horses. 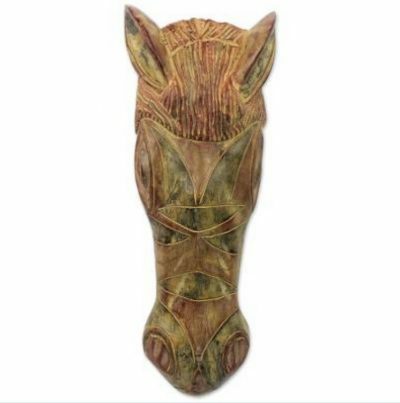 Splendidly carved from sese wood and given an antique finish, this stunning West African wall mask is handcrafted by Gordon Adu. The original design is carved and dried for two weeks, after which it is sanded and painted using local clay and colored powder. Posed in equine splendor, a magnificent stallion tosses his golden mane. 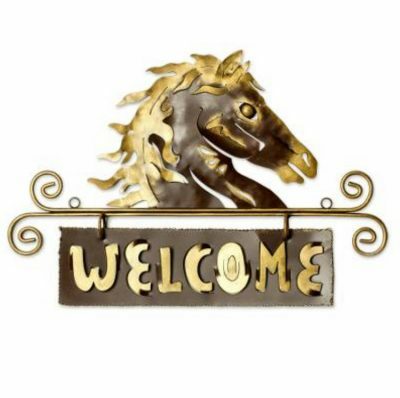 Sculpted in three dimensions, he offers a welcome to friends and family alike. J. Blas crafts the plaque from sheets and rods of forged iron. This one is my personal favorite – be sure to click through to the site to see the large photo with all the detail! Cedar wood is carved by hand into a beautiful stool, in the style used as thrones by West African kings. It features the image of a horse that supports the curved top. Raphat Asigbey crafts his original design in cedar wood, accenting the top with embossed aluminum plate, giving it a rustic finish. 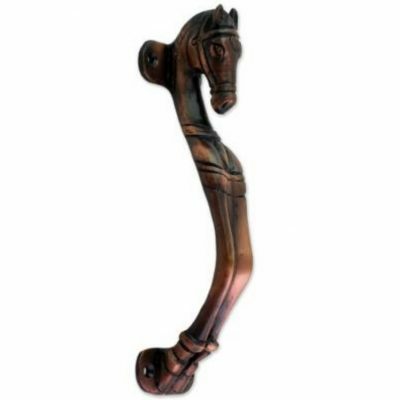 This door handle would look amazing on an interior sliding barn-style door, or even on a wardrobe. Indian artisan Khalid Ali is constantly striving to grow and improve the quality of his craft. He presents this copper-plated brass door pull with an antiqued finish. Although this is listed as a men’s bracelet, it’s 8.25-inches length would actually fit my wrist nicely. But then I do have large wrists – so make sure you measure! 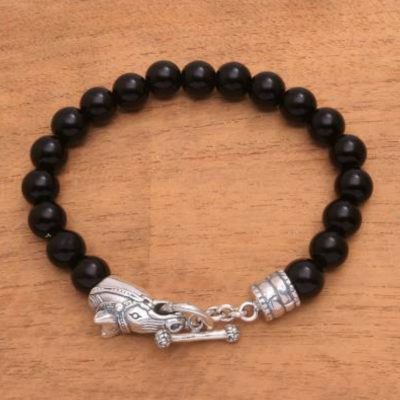 Circling the wrist with shining beads of black onyx, this men’s bracelet is designed by Balinese artisan Asmara Putra. The clasp is crafted of sterling silver (.925 silver) in the shape of a stallion that grips a ring between its teeth. 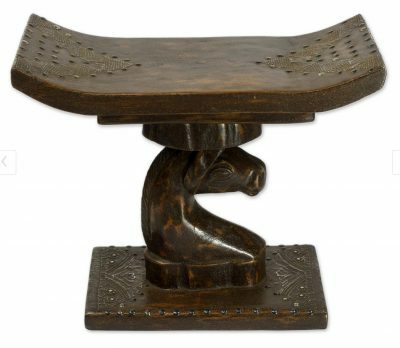 This is an exquisitely hand-carved piece at an amazing price! Balinese artisan Made Wardika celebrates the beauty of a wild woman, captured in the pendant of this necklace. 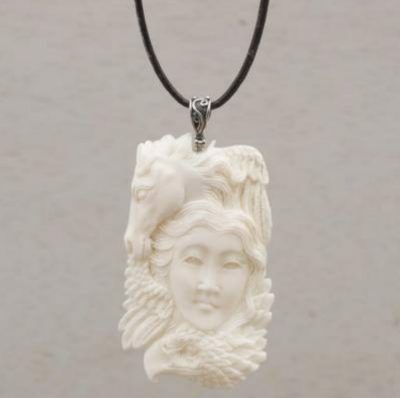 Hand-carved of bone, the pendant depicts a woman’s face, surrounded by the images of a noble horse and a majestic eagle. Adorning the neck on an adjustable length of leather cord, this necklace brings a natural spirit wherever it goes. Check out this video of the artist at work and if you like his work, also take a look at his other designs here – his earrings are amazing.